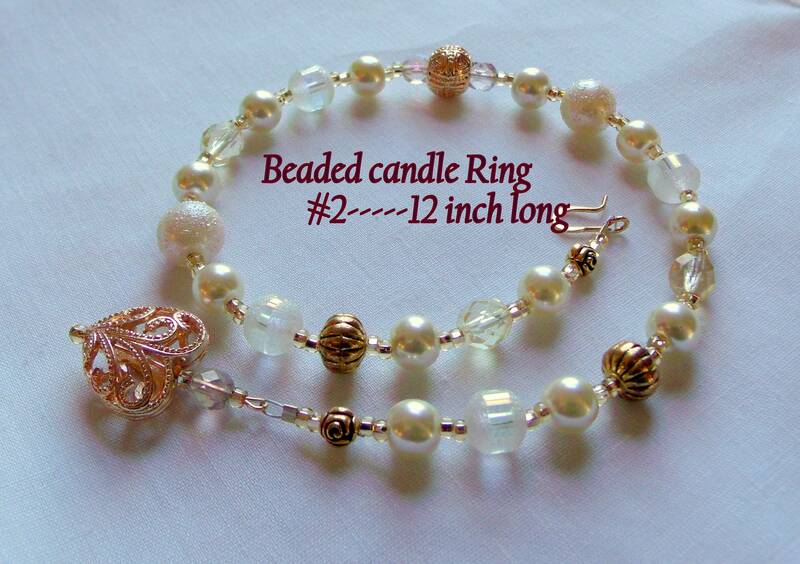 interspersed with round ivory colored pearls. 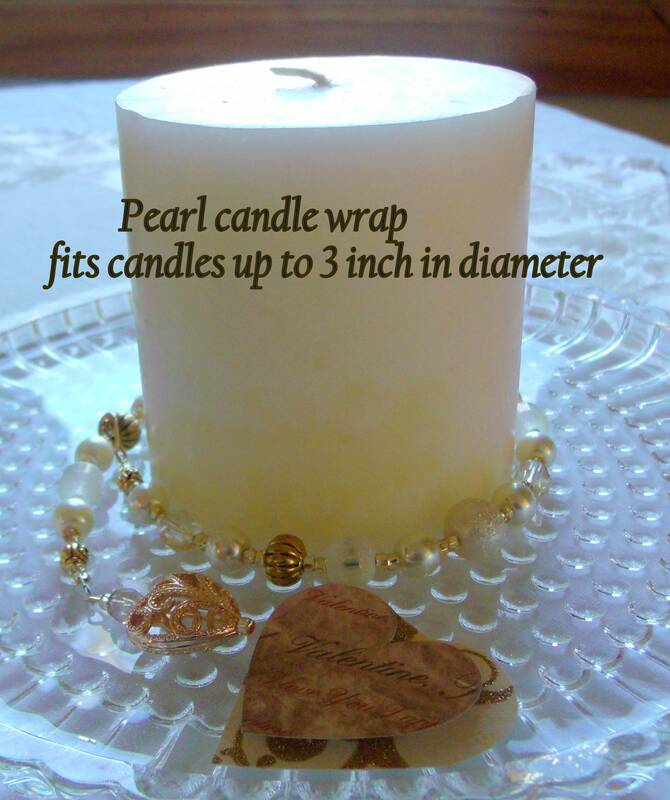 great for glass candles and Pillars. 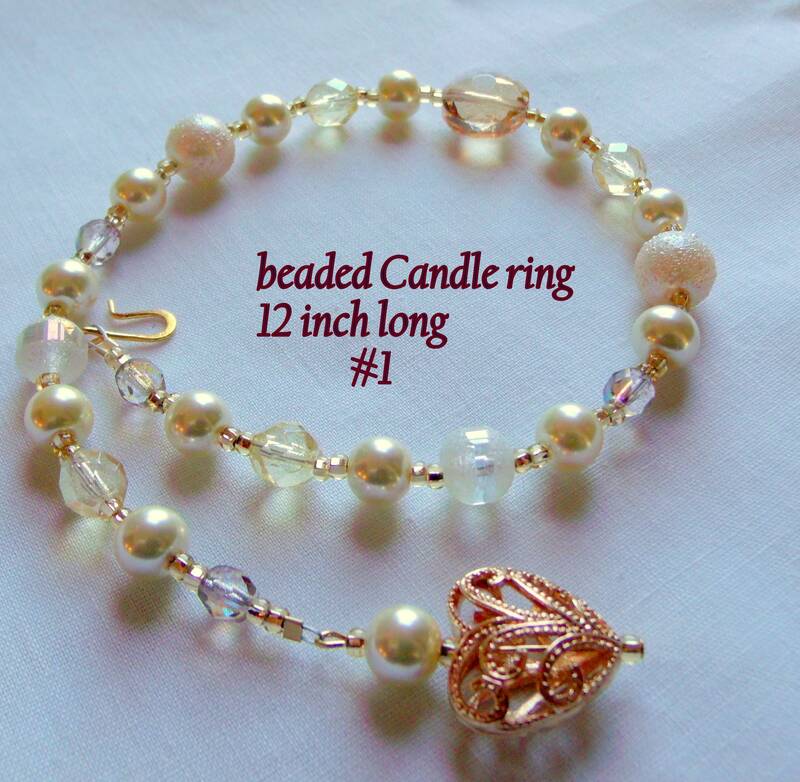 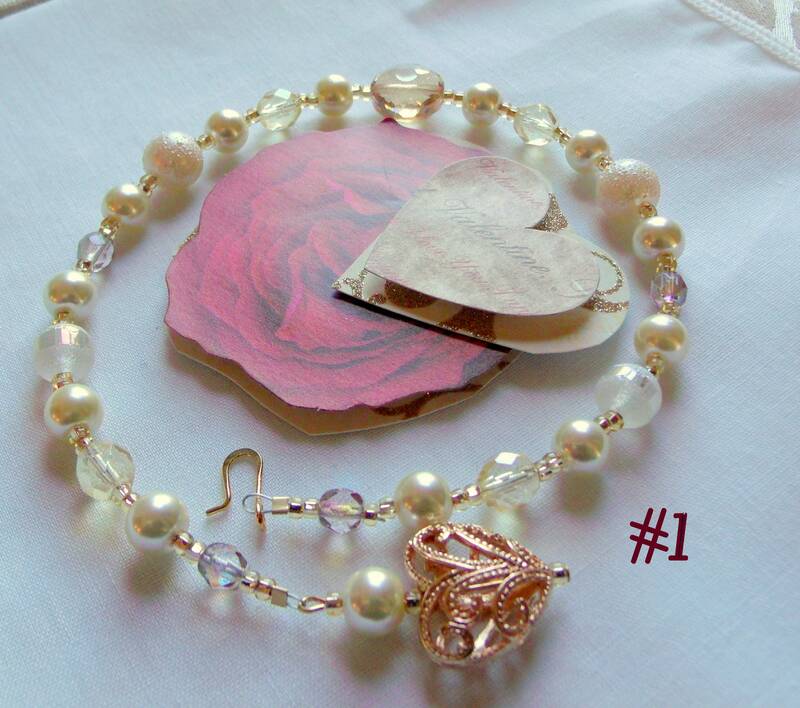 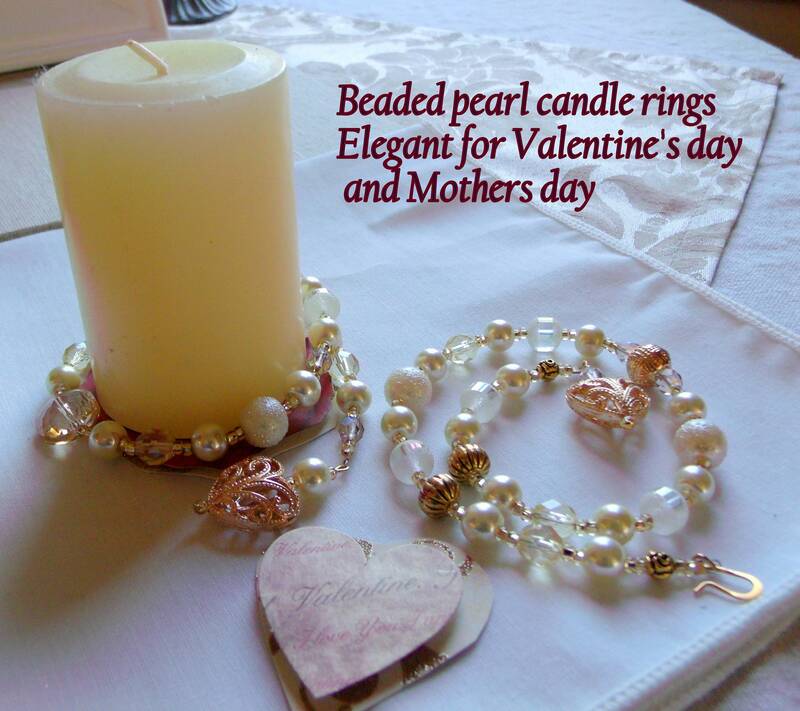 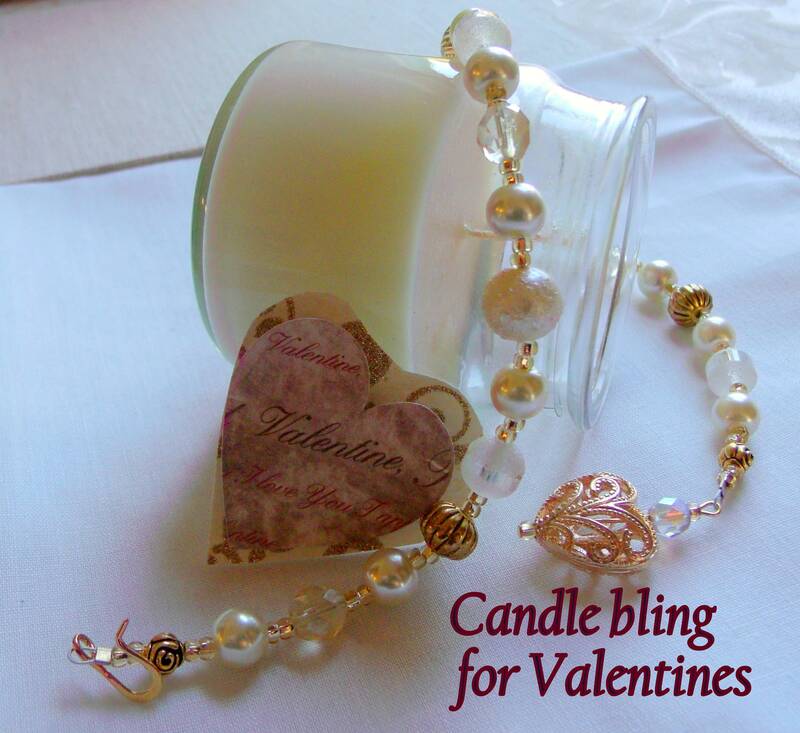 Beautiful Mothers day Gift or for your Valentine. 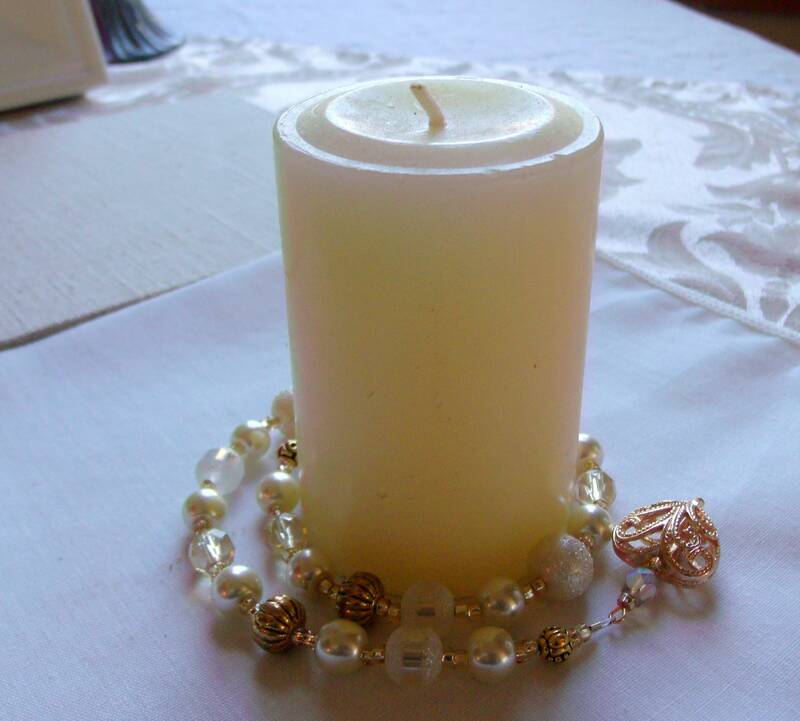 Gorgeous decor for the Wedding table.